The Spyro Reignited Trilogy has been an absolute craze among Spyro fans. With an incredible remaster with the Crash Bandicoot N. Sane Trilogy, it is expected that the upcoming Spyro remake will deliver just as well. To garner even more hype, as revealed in a press release, Stewart Copeland, the composer for the original Spyro games, made a reprise to remaster the game’s title screen, and his original soundtrack will also be featured in the trilogy. Copeland, who is a former member of the band, The Police, created the original Spyro game soundtracks, supplying fun, fresh, and energetic beats that we all grew to love in our youth. During San Diego Comic-Con, fans even got a taste of one of the tracks from the upcoming remaster. This brand new main theme, currently titles as Tiger Train, uses musical motifs from the first three Spyro games. As a result, there is a serious overload of nostalgia from taking a listen to the quick preview. The menu theme is the only piece that Copeland has worked on this time around, for Toys For Bob, the developer studio in charge of the Reignited Trilogy, is remastering the game’s soundtrack this time around. And yes, the entire soundtrack will be remastered. Even better, though, is that players will be able to switch between the remastered soundtrack and the original game’s soundtrack, so even if you aren’t a fan of the new music, you can always take an unadulterated trip down memory lane. During Sand Diego Comic Con, Copeland was joined by others from the original Spyro team to share their favorite moments either making the original or creating the remastered version. On stage were key insomniac developers Ted Price, Brian Hastings and Brian Allgeier, voice actor Tom Kenny (the original voice of Spyro), and the producer of the original Spyro trilogy, Michael John. 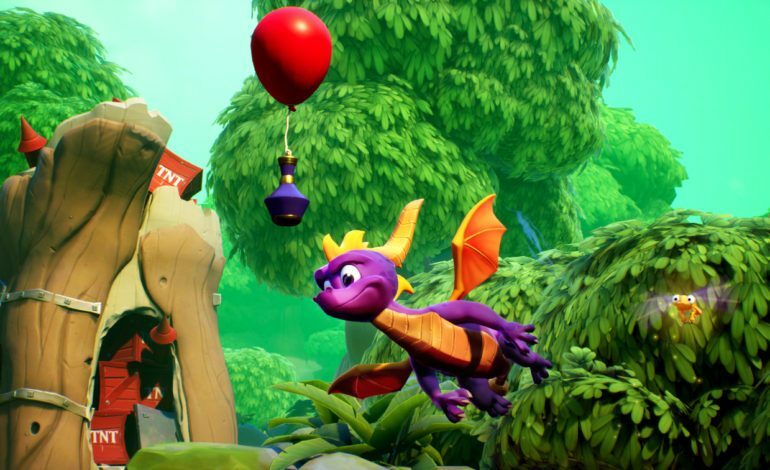 Although not all will be involved in the remaster, Toys For Bob have already put on an impressive display of promise for the Reignited Trilogy, so the upcoming might just be another hit. Spyro Reignited Trilogy will be releasing on Xbox One and PlayStation 4 on September 21 of this year for $39.99.